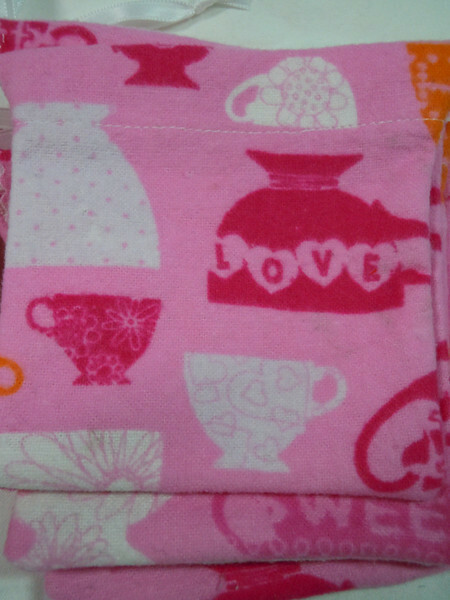 A set of 12 Tea cup cozy flannel gift bags. Great for showers or birthdays. Fill with your favorite teas!